We are in the midst of a fundraising campaign to help Anthony Graves after his exoneration from Texas death row. We plan to deliver the funds to him before Thanksgiving, which will be his first Thanksgiving celebration as a free man in 18 years. A lot of very generous people have already donated. We thank everyone who has donated so far and we can’t wait to deliver the funds to Anthony. You can still donate. As of 3 PM today, we had raised $1949 for Anthony Graves. If you would like to donate to help Anthony Graves, you can make a donation to TMN using a credit card by clicking here. Please note on your check that your donation is for Anthony Graves. If you want to include a short note to Anthony, we will deliver your note along with the check we give him with all the donations. We want to give him the donations before Thanksgiving, but if we receive any donations for him after Thanksgiving, we will send him those donations too. Donations to Texas Moratorium Network are not tax deductible because our primary mission is to advocate to the Texas Legislature to stop executions. If you would like to make a tax deductible donation to help Anthony, you can make a donation to the 501 (c) (3) organization Texas Death Penalty Education and Resource Center. 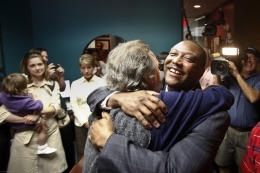 On October 27, Anthony Graves became the 12th person exonerated after being wrongfully convicted and sent to Texas death row. Anthony is a completely innocent man who spent a total of 18 years locked up for a crime he had absolutely nothing to do with. Twelve of those years were spent on Texas death row in a tiny cell having his food shoved through a small slit in the door. The other years were spent in jail awaiting retrial and facing the prospect of again being sentenced to death. Anthony is now back in the loving embrace of his family and friends and soon he will enjoy his first Thanksgiving holiday as a free man in 18 years. Texas Moratorium Network would like to help Anthony transition to his new life. We have spoken to one of his attorneys and she expects a legal fight before Anthony claims any compensation from Texas for his years of wrongful conviction. In fact, it will likely take quite a while before he receives any money from the State. Upon his release on October 27, he was only given a few hundred dollars. We asked his lawyer how we could help. She told us that he is in need of the basics of life, including new clothes, pocket money, and all the other normal things that a person would need whose nightmarish false conviction at the hands of the state has just ended. He needs to get on with his life and with your help we can give him a little help making the adjustment to freedom. So, we would like to ask everyone to help us help Anthony Graves. We would like to be able to raise and send him $1,000 before Thanksgiving. If we raise more, then that would be even more helpful for him. If you would like to help, you can send a donation and we will pass it along to Anthony. $1,000 is not much in the great scheme of things, but it will help Anthony at a time when he could really use it. In 2004, after Ernest Willis was exonerated and released from Texas death row, Texas Moratorium Network asked our supporters to help Ernest. We were able to raise $1,000 in a short time and send it to Ernest in 2004. We received the below message from Ernest Willis after he received our check for $1,000 in 2004. “Hello, I do appreciate the donations & your time & help in getting the donations. Yes, the state of Texas gave me $100.00 when I was released & that was all. I am doing okay since my release & am very happy to be free. I have not had any problems adjusting to the life out here. Again -I do appreciate the help, it is greatly appreciated as I do need it”. Now, it is time to help another innocent person just released from Texas Death Row. If you are unable to afford a donation to Anthony right now, please keep him and his family in your thoughts, especially when you gather your family around the table on Thanksgiving Day. 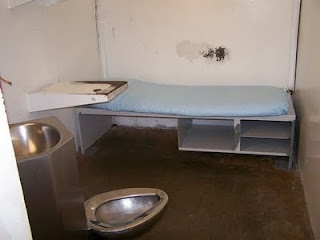 Below is a photo of a typical cell on Texas death row. Anthony Graves lived in such a cell even though he was an innocent person.